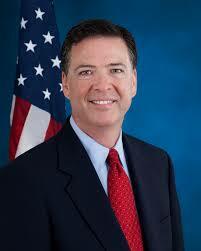 FBI Director James Comey has almost universal respect among leaders in both the Democratic and Republican parties. After all, the Senate confirmed his appointment 93-1. But now his independent streak is being tested over Hillary Clinton’s private e-mail server, The Hill reports. “That independence will be tested with Republican lawmakers demanding answers and the Clinton team dismissive of a controversy they see as politically drummed up,” The Hill wrote. Comey was praised when he was acting attorney general in March 2014 and refused to reauthorize the NSA’s programs because of privacy concerns. Will that independent streak continue? Time will tell. Posted: 8/18/15 at 9:48 AM under News Story.